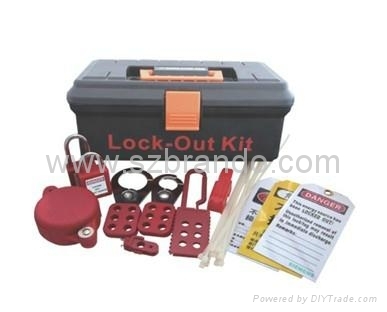 This safety lockout ket is an ideal kit for locking and blocking all types of blanded fuses and fuse holders . This kit contains different safety devices . For example.Padlock, Hasp, Tagout etc.All necessary safety devices can be packed in this Strong canvas bag and worn around the waist Allowing Contents to be Carried at all Times.